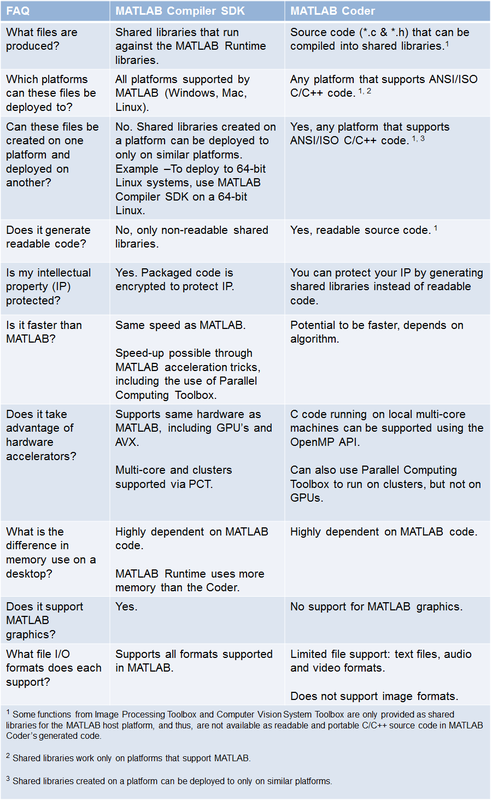 Should I use MATLAB Compiler SDK, or MATLAB Coder to integrate my MATLAB applications with C/C++? 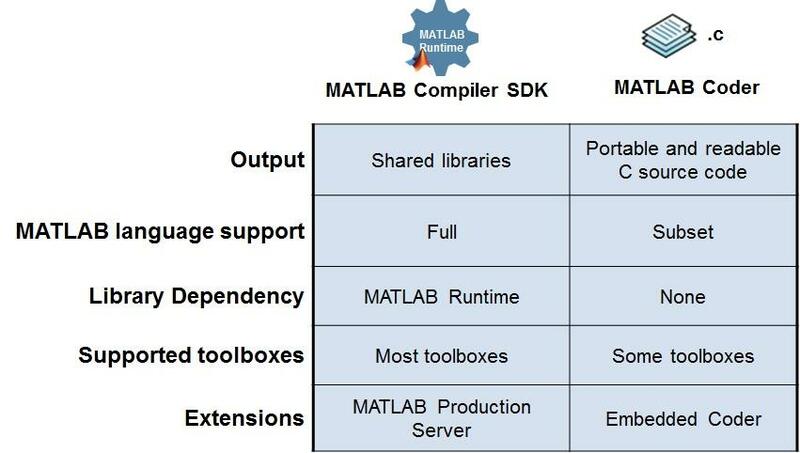 MATLAB Compiler SDK provides shared libraries that run against a MATLAB Runtime. It supports most of the features in MATLAB, including graphics, and protects your intellectual property by encrypting your MATLAB code. MATLAB Coder on the other hand provides readable and portable source code. It supports a subset of the MATLAB Language focused on algorithms performing numerical computations. High-level differences between the two approaches are summarized below. Details are provided further down in a list of frequently asked questions.